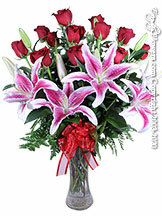 Lilies come scented and non scented and are available in many different colors. 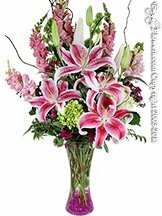 Asiatic Lilies These lilies are non scented and come in vibrant colors and are available all year long. 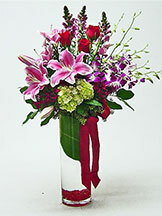 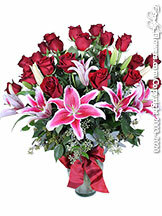 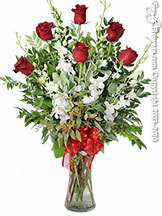 You will see orange lilies in our English Garden Arrangement and pink ones in our Lilies And Roses flower arrangement. 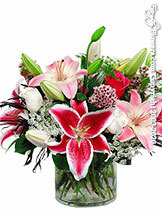 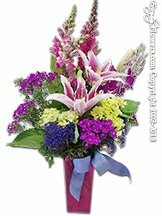 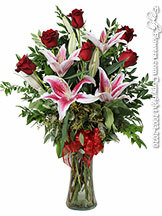 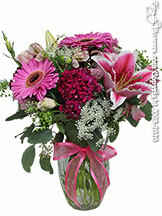 Scented Lilies include Large Stargazer Lilies known for their pink center and strong fragrance. 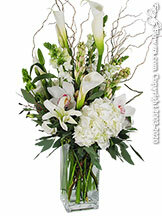 Casablanca or Sibera Lilies are pure white lilies and large blooms just like Stargazers but have a softer scent to them.